Prepare to be impressed! 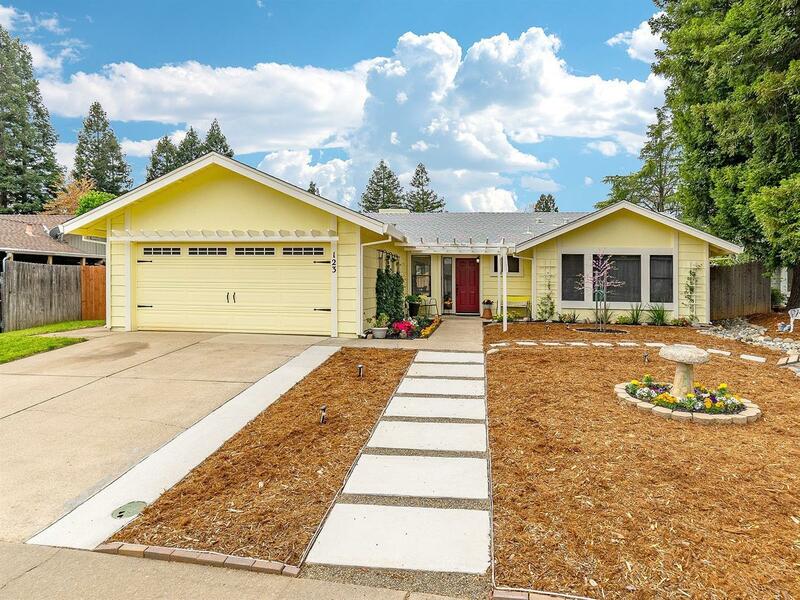 This fabulous SINGLE STORY home is beautifully remodeled, on a cul de sac, and HUGE lot! This light, bright, happy house has designer details throughout home! Great room concept with gorgeous white kitchen cabinets, quartz counters, kitchen island featuring waterfall edge, stainless steel appliances, beautiful sink and fixtures, and recessed lighting. Living area overlooks backyard and is open to kitchen; has vaulted ceilings and fireplace. Beautiful wood laminate flooring in living spaces and tile flooring in remodeled baths featuring white cabinets, gorgeous tile, and fixtures. Enjoy low maintenance front landscaping and enormous private back yard ready for summer fun! RV access too! Did I mention the 2018 HVAC system? Hurry to see this home! You will love it!